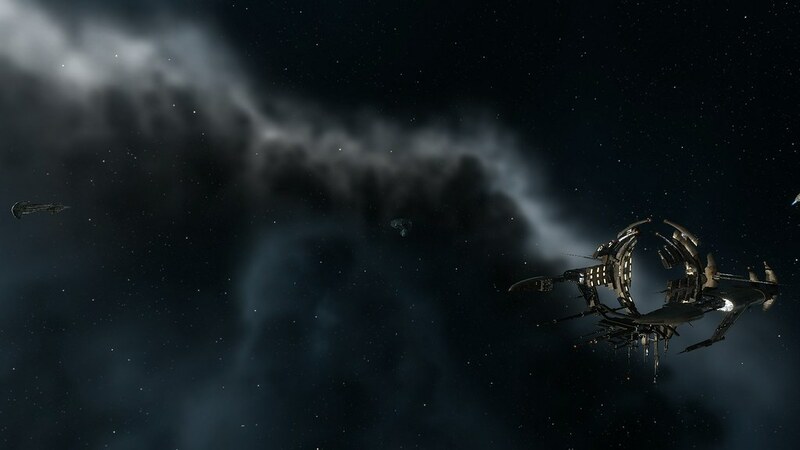 Please take note that Tyrodia's EVE Blog should now be referred to as Flying Free. 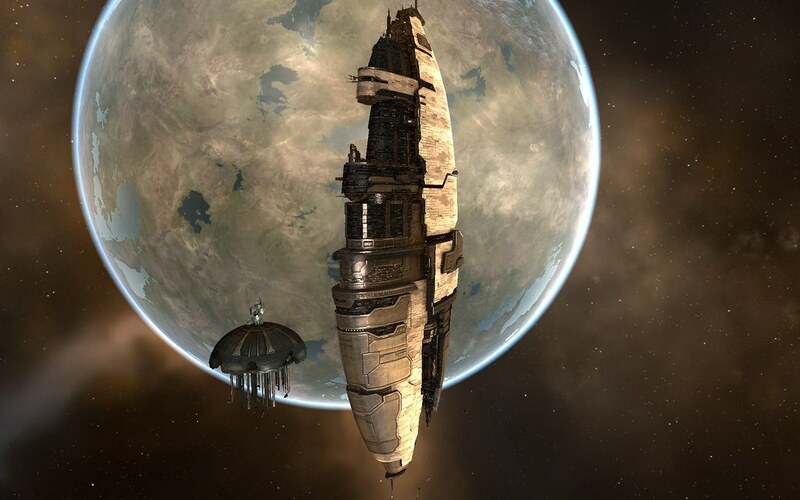 Finally, though we're sadenned to learn that EVE Monkey is leaving New Eden, we're very happy to welcome in the EVE Blog Pack our newest member @Lumenarious_Rex and his blog "A Scout's Domain"! Welcome a board mate! 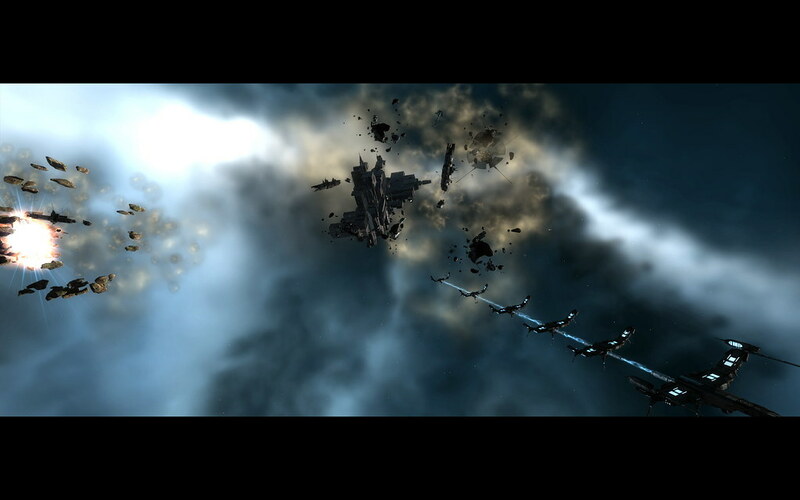 EVE Online Action Wallpaper Competition - The Judging begins! 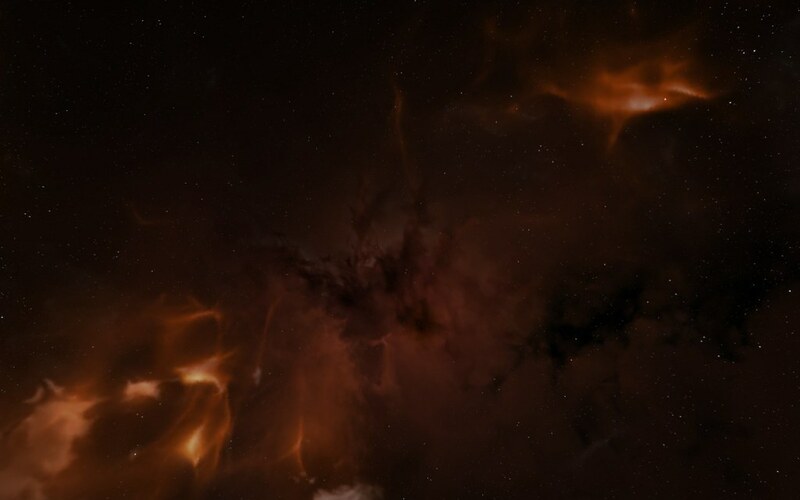 After the Scenic Wallpaper submissions, here then are the 16 Action entries to the EVE Online Wallpaper Competition. Good luck to all participants! After seven months and seven hundred cans of red-bull, I can finally show you guys what happens when you put New Eden, the Unreal 3 Engine and large quantities of caffeine into a blender. 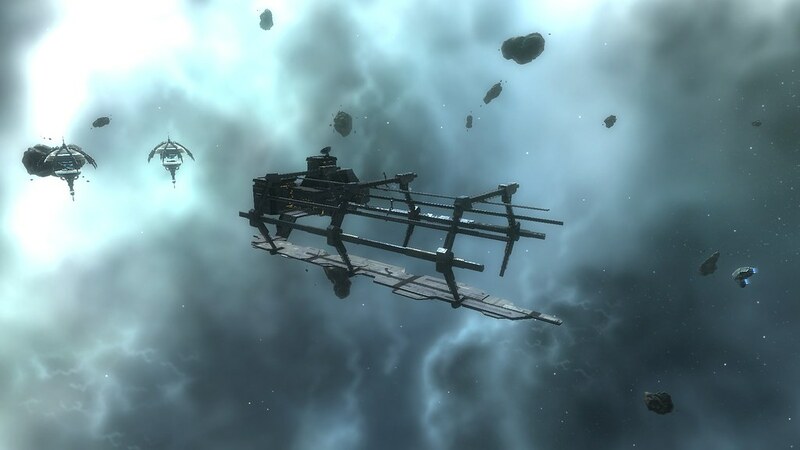 This was my first jump into the Unreal 3 Engine, as well as my first for a fair few programs. 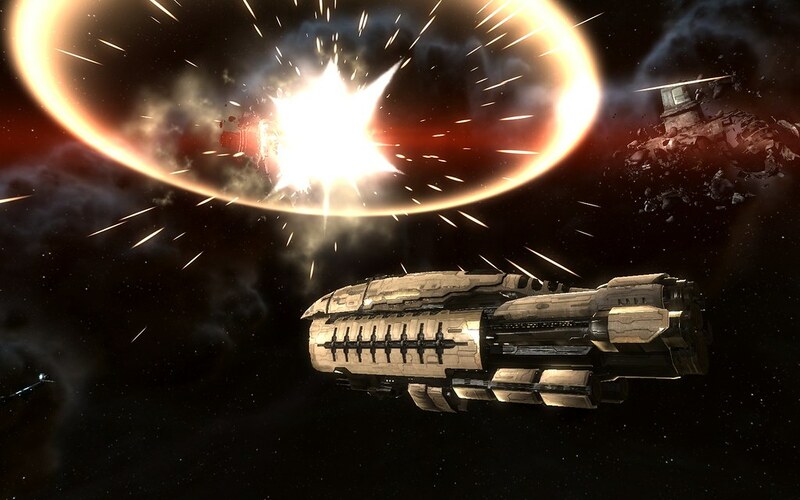 It all began as a University project to show the progression of cinematics within game engines. My love for the EVE Universe and writing EVE fiction were the real inspiration for this Machinima. This meant that the film was not going to portray a world ruled by game mechanics, but rather an alternate reality of EVE that I use when I write fiction. Huge thanks to Kyoko Sakoda for his utter genius and support during this project, as well as everyone who helped me with this, whether it was inspiration, motivation, or ensuring I was well fed during its development. 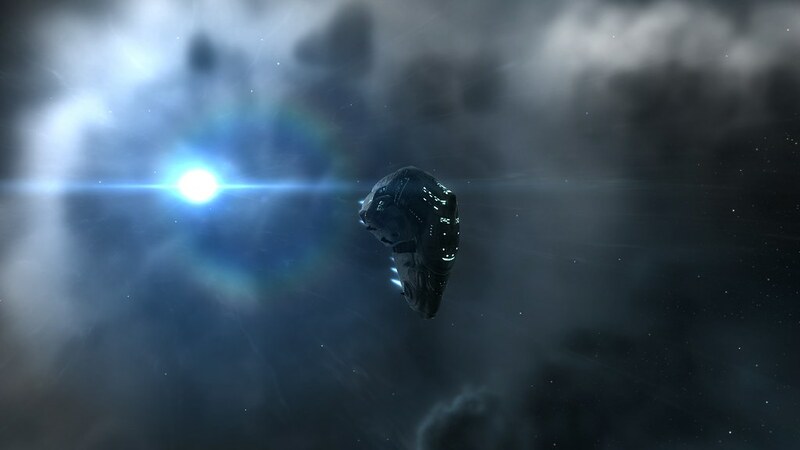 Just like harvesting high-end minerals, adding new EVE Online blogs is a time consuming effort that yields great rewards! It's an investment that's produced some amazing results; benefits that we get to share on a daily basis. These are the latest blogs added to my EVE Blogroll! That's 51 new blogs added in the last few days to the EVE Blogroll. I just hope I didn't miss anyone! Please comment to let me know! The catching up is almost over! Action Wallpaper submission by Perseus Kallistratos of Aggressive Tendencies. ...or as Roc likes to call it "Fighter Drone pilots"! Still, you have to admit the game looks great! 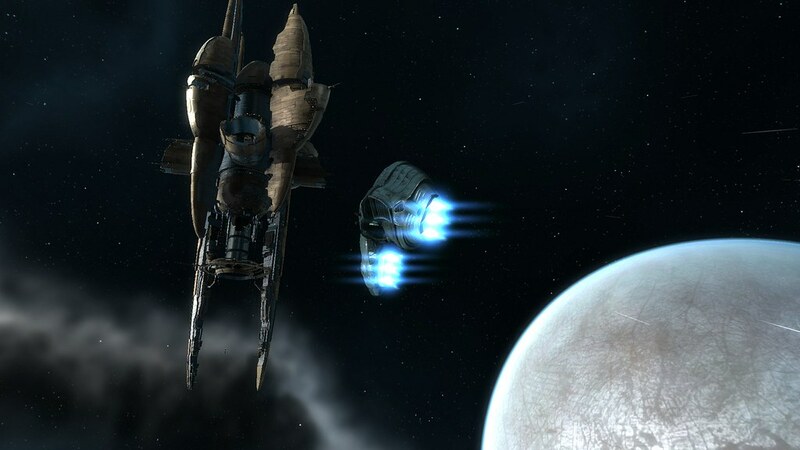 And I must say I'm happy to see another Space-based MMO see the day. 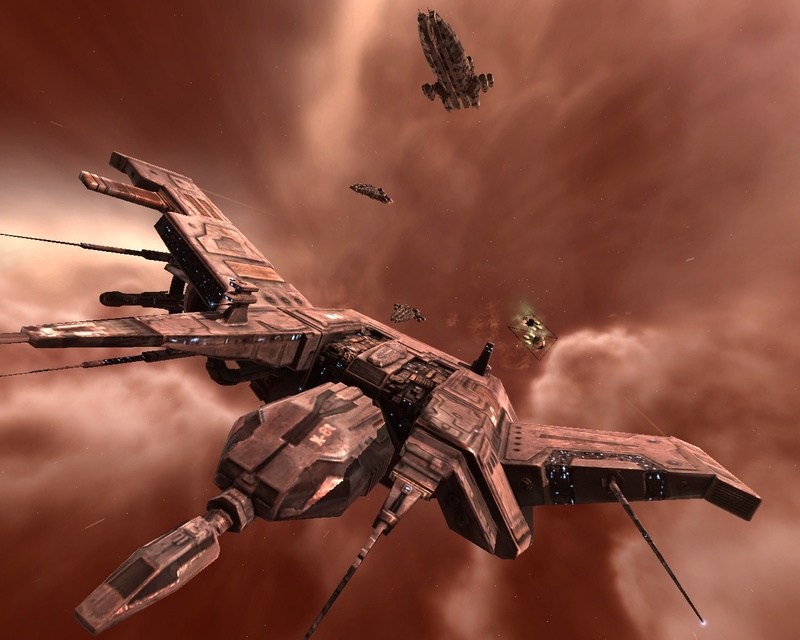 It can only pressure the Devs from CCP Games to make EVE Online better! Come to think of it, a fighter pilot FPS seems like a fun idea! Coming May 18th, eh! The wait begins! In view of the amazing screenshots we've been getting for our Wallpaper Contest, I thought I take the opportunity to share them with you as I receive them. I've received 9 so far and will need to catch-up over the next day or so and present all of them. Once I have caught up to the latest one, I will post the screenshots as they come in! Thanks again to all the participants, who are fighting over the chance to win over a Billion ISKs! Planetary Interaction (PI) is almost upon us! 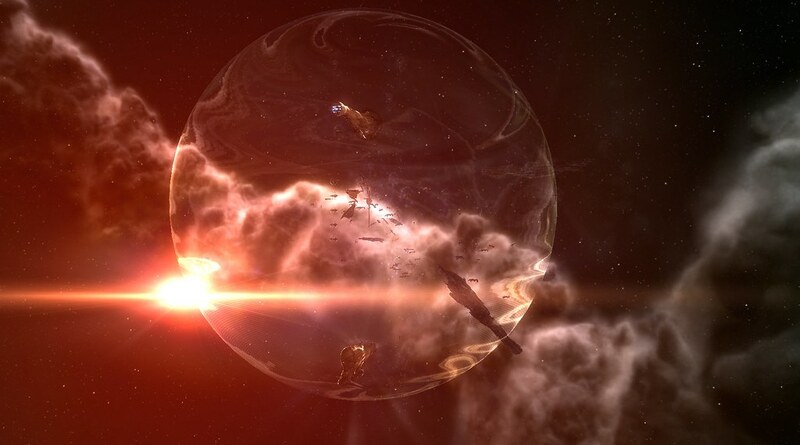 With the next EVE Online expansion, the industrialist will have a ball with the planets of New Eden. No longer will they simply be decorations for the capsuleers enjoyment. 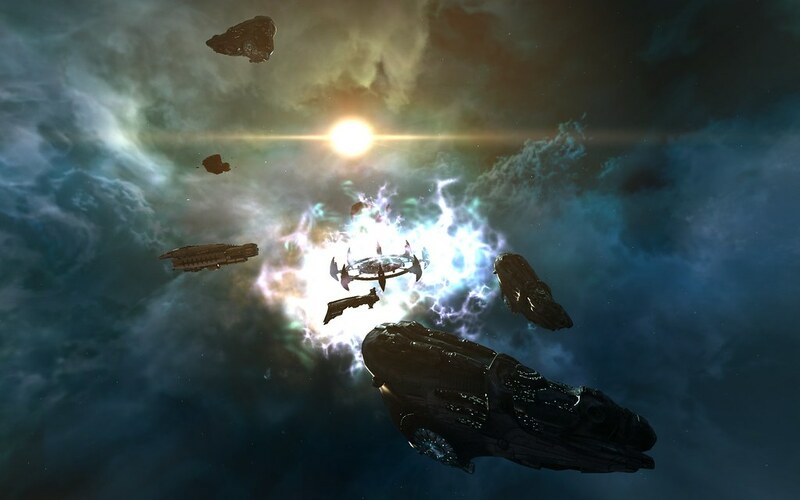 Much work remains to be done until its release, but we got a glimpse of what the Devs are working on - or listening to - these days following the latest Dev Blog by CCP Hammerhead "Livin' on a Prayer". 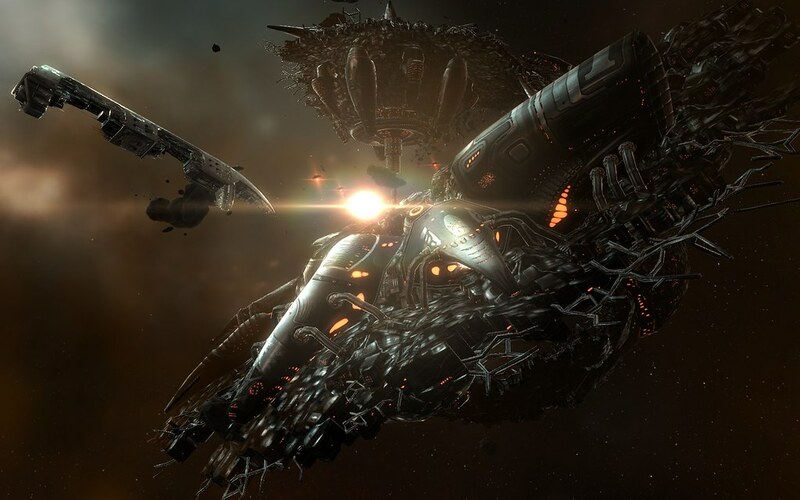 The fine folks of EVE University were also kind enough to put together the following How To video, based on the current state of PI on CCP's Test server SiSi, as well as a short Guide. Enjoy! Very few movies had as much impact in nurturing my inner Geek as much as Wargames and TRON. As I explained to a friend earlier today, back in the early 80s I had very friends to share my passion for TRON. Personal computers and the networks that were about to connect them all were not things pre-teens were known to discuss, much less take pride in having an interest in. Fast forward 30 years, and the situation has flipped completely; a 180 in the perception of Geeks! This coming December, there will be one such Geek enjoying the benefits of this cultural shift! For unable to view the video due to their geolocation, view it here. I can barely control my glee! Last Friday night, I got an early birthday gift, or a late Christmas gift, however you want to see it! The much talented @Rettic, of Rettic's Log: The Chronofile, was kind enough to provide his services to me free of charge as a token of appreciation for all my efforts in promoting and helping foster the right environment for the EVE Blogging Community. This post's header as you can see was the result, and now sits atop as my blog's main header! If you're curious to see the full image, head over to my Flickr account right here! Beautiful work isn't it! By profession, Rettic is a Senior Interactive Designer, and I'm sure that if he is as talented for Interactive Design as he is for Graphic Design, then whom ever he works for is one lucky employer! If you're interested in have some work done by my good friend, then know that his standard fees will run you about 100-200 million ISKs for a logo/banner/forum signature, and that he also offer his services for EON ads, software skinning, etc. Contact him in any case to get a quote from him! Thanks again sir, for some amazing work! Not too many movies into the "cool techno geek" group, but Iron Man, and most likely its sequel do. Judging from the following trailer - the 2nd one - Iron Man 2 looks very promising! I for one, look forward to it! For that matter TRON has that same effect on me! Looking forward to that trailer being released. Which I know should be soon; as in by the end of the week! 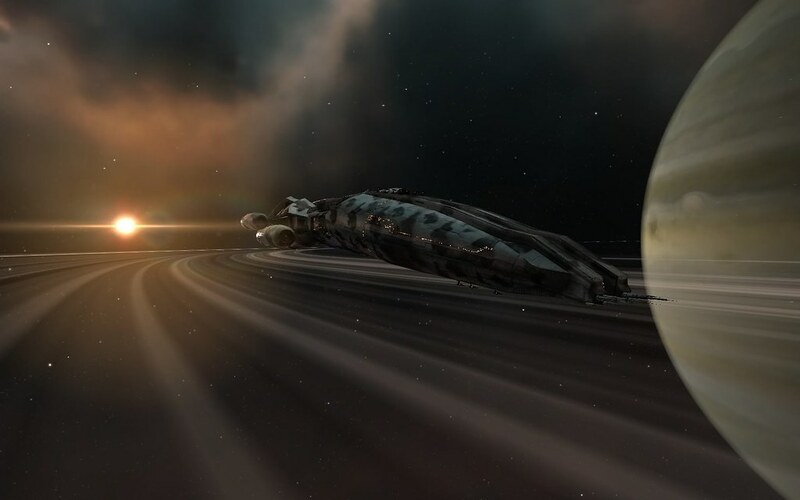 Every EVE Online player who became a parent during his capusleer career, knows how difficult it can sometimes be to juggle a professional career, a marriage and children, while giving in to the calling of New Eden. But with time, through sheer effort and good planning, it can be done. I know, I've struggled myself to manage to do all of the above, but I'm still here, playing the game, blogging about it and having a great time doing it, despite the occasional trolls! How do I do it? Well over time I've come up with a few basic rules that seem to work for me. And so I wanted to share them with you, and see what you yourselves can come up with! Thou shall put real-life first. Always! I didn't want to finish the list, not because I ran out of steam or ideas, but simply because I want you to add the last two! Come on! It's original creation goes back almost 2 years, when I hand picked 18 blogs to represent the best amongst the bloggers within the young and nascent EVE Blogging Community. Over the course of the next two years this same Community would explode in numbers, quality and diversity. 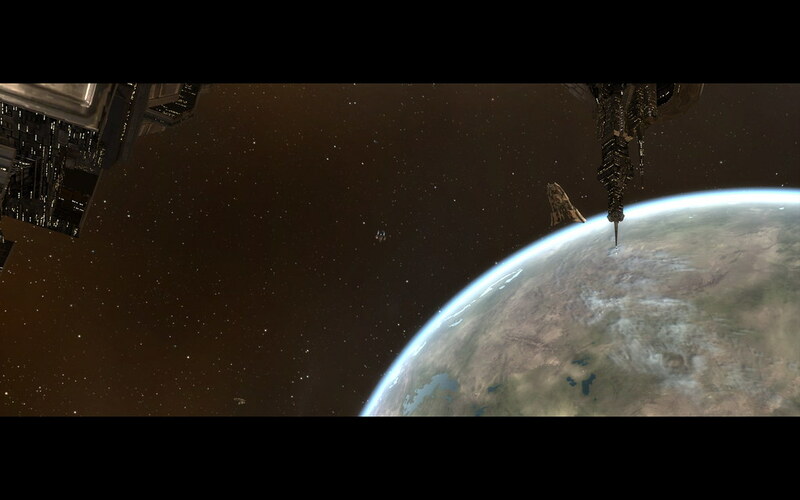 Today, with over 500 EVE Bloggers out there, it most likely is the biggest, most organized MMO blogging community! 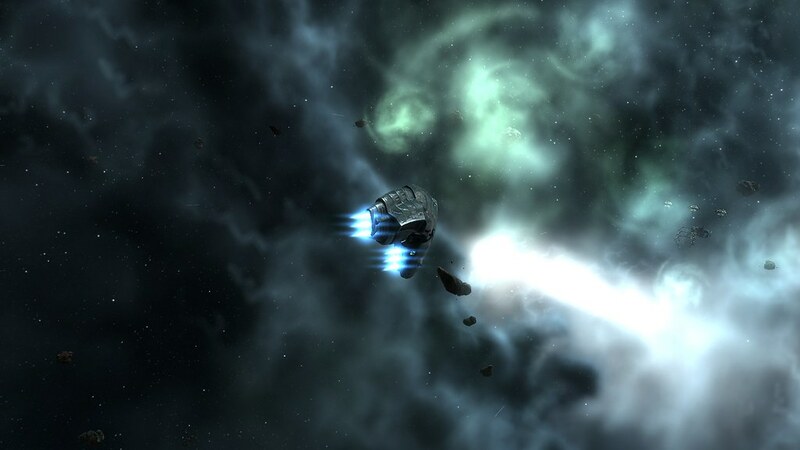 As a result, the EVE Blog pack had to evolve. And though this evolution got off to a rocky start, in the end I believe that the new Blog Pack, who's members you see listed below, is stronger and more representative of what's out there in the EVE Blogging Community. The blogs below were chosen for their quality, originality, regularity as well as potential for greatness. Some are well established blogs, some are in character (IC), others not, some try to tell a story, while others try to share advice, knowledge and experience. In the end they are all great blogs, amongst the hundred out there. When I look at the list below, I see familiar faces, old and new. I see the voices of experience, and the determination of the rookies. 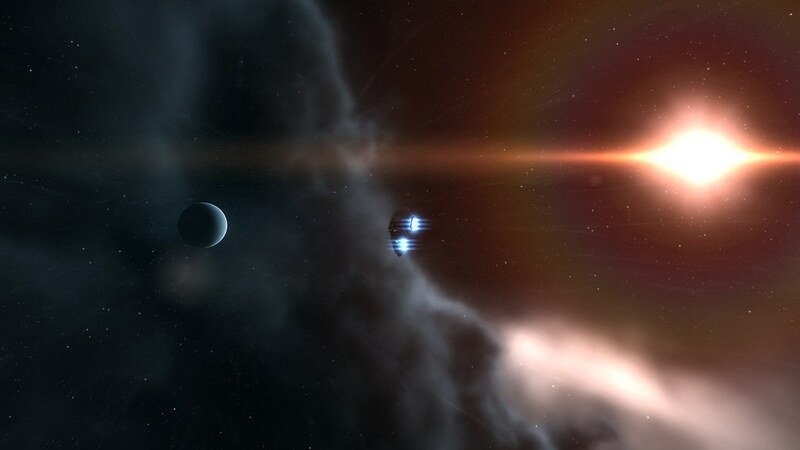 For all of these blogs, I am happy to welcome you in the EVE Blog Pack. Give yourselves a big round of applause! Know that I deliberately did not link back to the original blogs. Not yet. Not on this post. The official listing of the Blog Pack still resides on that original post of June 2008. And though I'll need a bit of time over the next day or so to update that post with the additional 24 new blogs, as well as update the Google Reader RSS feed and my Blogger widget, I wanted to share the list with you! It will also serve as a permanent mark, to remind us what that listing was on this day. And moving forward, every time I'll make important changes to the Pack, I'll make such a post to commemorate the blogs that were part of this! It's an EVE Blogging Community History, one I am not willing to forget. One which I want to remember, for past, current as well as future members of the Pack!